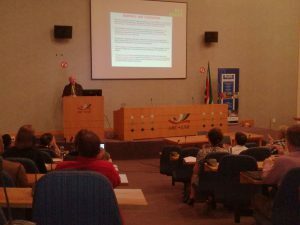 On the 18th of October 2017 the African Centre for Gene Technologies (ACGT) in conjunction with the Agricultural Research Council (ARC) hosted a Regional Plant Biotechnology Forum at the ARC’s Central Office Auditorium in Hatfield. The focus for this forum was “Plant-Soil Interactions”. This theme came in light of the national plant-soil working group initiative that the ARC is planning to create and coordinate. 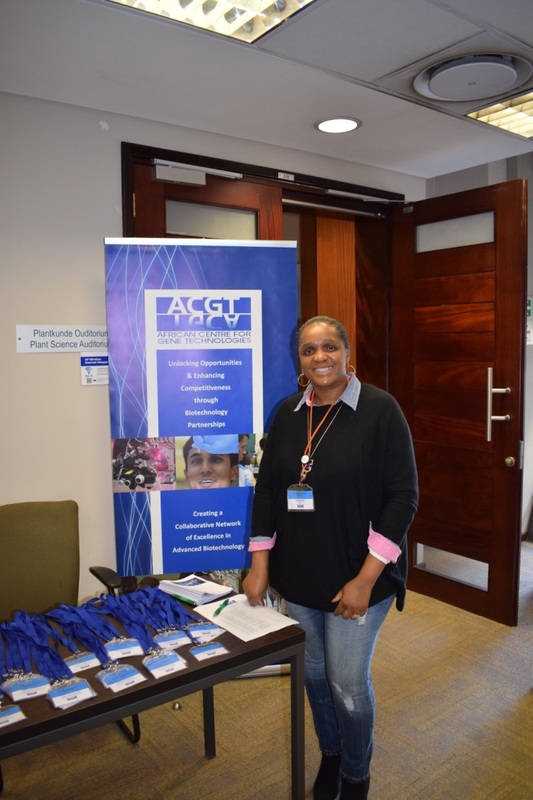 The forum was attended by a number of people from the ACGT’s partner institutions as well as outside institutions, including the University of Cape Town and industry representatives. The organising committee were fortunate to secure Prof Wijnand Swart as the keynote speaker for the forum. Prof Swart is currently in the Department of Plant Sciences at the University of the Free State in Bloemfontein and Discipline Head in the Division of Plant Pathology. His research broadly focuses on using the taxonomic and functional diversity of microorganisms, above- and below ground, as bio-indicators of soil and plant health. His research interest made him a perfect fit for the forum’s theme. Prof Swart gave a fascinating talk titled “Phytobiomes: Key to understanding plant and soil health”. 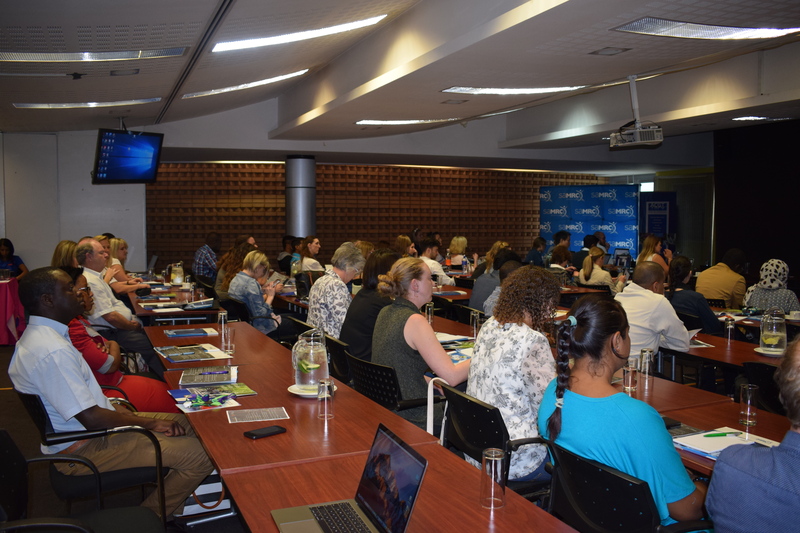 Other equally fascinating talks came from Prof Joanne Dames (Rhodes University and Mycoroot), Prof Oleg Reva (University of Pretoria), Ms Francina Bopape (ARC), Dr Juan Venter (University of Pretoria), Dr Martin Myer (Biopower Institute) and Dr Fidele Tugizimana (University of Johannesburg). The forum, like many of the ACGT fora, served as a platform for people from different institutions and labs to network as well as discuss future collaborative initiative. The plant-soil working group was a big topic during the networking session/lunch. The ACGT aims to work together with the ARC to establish and coordinate the working group and it will keep all interested stakeholders up to date with its progression. The ACGT would like to thank Dr Charles Hefer and Dr Dirk Swanevelder from the ARC for assisting in organising the forum. 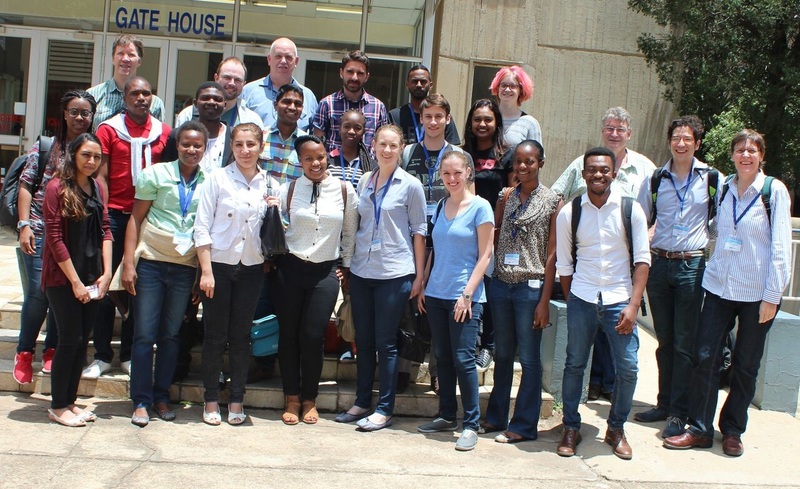 The University of Pretoria (UP) hosted a Proteomics seminar and workshop, which they co-organised with the African Centre for Gene Technologies (ACGT) and the Council for Scientific and Industrial Research (CSIR). Over 20 delegates attended the events; which represented the majority of the ACGT’s partner institutions. 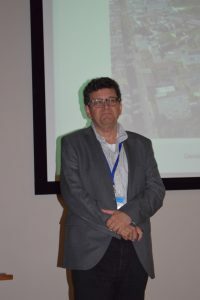 Prof Ole Jensen visited South Africa during this period to give a plenary talk at the seminar, as well as to facilitate the subsequent two-day workshop. Prof Jensen is a Professor of protein mass spectrometry at the Department of Biochemistry and Molecular Biology, University of Southern Denmark (SDU), in Odense. His research focus includes chromatin biology and epigenetics, as well as “middle-down” proteomics approaches and mass spectrometry to study co-existing post-translational modifications and their cross-talk in proteins. 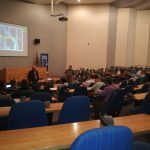 The seminar took place on the 11th of October 2017 at UP’s Plant Sciences Complex Auditorium. Dr John Becker (ACGT Centre Manager) made opening remarks and highlighted the progression of the proteomics workshops since their inception in 2012 under the leadership of Prof Duncan Cromarty from UP. After being introduced by Dr Stoyan Stoychev (CSIR), Prof Jensen gave a plenary talk on “One protein – many outcomes: Elucidating histone proteoform dynamics during aging by using Mass Spectrometry”. He was followed by other speakers from UP (Dr Duncan Cromarty and Ms Kim Sheva) and CSIR (Mr Ireshyn Govender and Dr Ashok Prabhu). The day ended off with the delegates, who were to attend the workshop taking place a day after the seminar, giving short presentations about their research studies which involved proteomics. The advanced proteomics workshop ran for two days (12 and 13 October 2017) at the ACGT Centre for Bioinformatics and Computational Biology (CBCB) at the FABI Square building. Delegates for the workshop were carefully selected based on their motivation to attend this specialised training workshop. Prof Jensen facilitated the two-day workshop with the primary focus being post-translational modifications of proteins. The workshop was interactive which allowed the attendees to ask questions which were specifically related to their research. The workshop also included practical sessions as well as round-table discussions in which the attendees had an opportunity to ask more in-depth questions about their research. Prof Jensen, Prof Cromarty and Dr Stoychev facilitated the round-table discussions. These events are part of the ACGT’s strategic plan to build and increase capacity in the field of proteomics. Some of the delegates have attended these training workshops since the “Introduction to proteomics” stages. 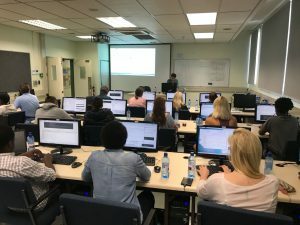 With each year, the ACGT have (and will continue to) focus on modifying the training workshops to suit the community, as well to advance the expertise in proteomics so that our South African community can keep up with the rest of the global proteomics community. Researchers in the partnership are welcome to contact Mr Thabo Khoza, who is driving capacity-building initiatives in this field at ACGT, to discuss specific training and networking requirements and suggestions for future events (az.ca1555894530.pu@a1555894530zohk.1555894530obaht1555894530). The ACGT would like to thank Prof Cromarty and Dr Stoychev for assisting in organising the forum as well as facilitating some sessions at the workshop. Researchers from academia and science councils, industry representatives and scientific vendors came together for a national conference on Stem Cells Research and Therapy on the 26th and 27th of October 2017 at the Innovation Hub in Pretoria. The purpose was to showcase research performed under the MRC Flagship “Stem cell research and therapy- addressing South Africa’s disease burden”; awarded to the University of Pretoria in 2014. National stem cells stakeholders active in the field, but not necessarily funded through the flagship, also had the opportunity to showcase their research. 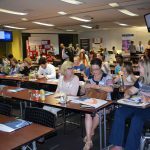 The two-day event attracted close to 80 delegates from across South Africa, including delegates from Kwa-Zulu Natal and the Western Cape. 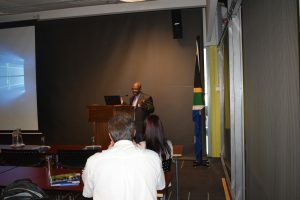 Professor Michael Pepper, co-organizer of the event (with ACGT) welcomed delegates on the first day, after which Medical Research Council Vice-President, Professor Jeffrey Mphahlele, introduced the University Flagship Programme. Professor Mphahlele congratulated all involved in the Flagship, but also stressed the importance of translational research to delegates. Although the presentations over the remaining two days largely focused on scientific research, included in the programme was also presentations and deliberations on the legislative environment surrounding cell-based therapy; as well as legal issues in dealing with scientific data and privacy. Discussions were quite lively as researchers were exposed to high level work in the stem cells field from researchers that they don’t interact with frequently. Here, suggestions to post-graduate researchers, academics and industry; as well as opportunities identified for collaborative efforts, could be regarded as highly positive outcomes of the deliberations. The organizers were very fortunate to attract financial support from nine scientific vendors. Funds were largely utilized to cover travel and accommodation costs for delegates as well as a networking event for attendees on the evening of the first day. The organizers would like to extend their sincere gratitude to the vendors for their financial assistance, without which the event would not have been possible. Attendees were very supportive of potential future scientific events to showcase research and provide a platform for networking. The ACGT and researchers in the field are evaluating the possibility and means to host similar events in future. 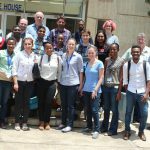 The African Centre for Gene Technologies (ACGT) and the University of Pretoria’s Centre for Bioinformatics and Computational Biology (CBCB) co-hosted a genome analysis workshop from 23-27 October 2017. The hosts were extremely fortunate to have the week-long workshop facilitated by an expert group of scientists and software developers from the Broad Institute of Harvard and MIT. They included Dr Geraldine van der Auwera, Mr Hussein Elgridly and Mrs Kate Noblett. The team was supported by local bioinformatics expert and Director of the CBCB, Prof Fourie Joubert. This was the second capacity-building instance where the team facilitated the workshop in the Genome Analysis ToolKit (GATK) open-source software package. The toolkit was developed in the Data Sciences Platform at the Broad Institute, and offers a wide variety of tools with a focus on variant discovery and genotyping. The first GATK workshop was hosted by ACGT and CBCB in 2015. 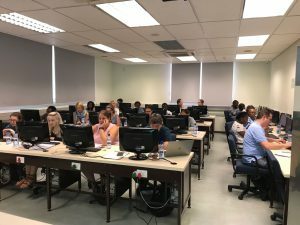 The workshop dealt with a number of genomics analysis topics and included data pre-processing and quality control; variant discovery and detailed sessions on setting up workflows in the toolkit. The approach was to have presentations on the specific sections, which was followed by hands-on exercises on the CBCB workstations throughout the five days. Delegates hailed from the ARC (including Stellenbosch), and the Universities of Pretoria, the Witwatersrand and Stellenbosch; and also included a delegate who traveled all the way from Newcastle University to attend. The attendees were at different levels of bioinformatic analysis experience and this was highlighted during the sessions where command line imputation was utilized. A consideration for future courses could potentially be to bring those delegates less familiar with this aspect up to speed in a separate prior training event. Notwithstanding, feedback from delegates was overwhelmingly positive and will be utilized for planning similar subsequent events in the genome analysis field for partnership researchers. The ACGT and its partner institutions will continue to build capacity in bioinformatics analyses in the “-omics” space; and would like to invite all who require such analyses as part of their research to engage us and tell us about their specific training needs. The ACGT would like to sincerely thank the Broad facilitators, including Prof Joubert, for their investment in time and effort in preparing and facilitating this workshop. Since the discovery of the three-dimensional structure of DNA in 1953 by James Watson and Francis Crick, molecular biologists have been studying the function of genes and genomes made up of the four bases of DNA. Scientists have had the ability to modify DNA through a number of enzymatic processes throughout recent decades, but these were mostly limited to manipulation of smaller pieces of DNA and vectors used for downstream analyses or genetic transformation of organisms. Precise, targeted genome engineering of organisms became a reality in 2012 when it was shown that an engineered Cas9 (an RNA-guided DNA endonuclease) could be used together with components of the bacterial defense system CRISPR (Clustered Regularly Interspaced Short Palindromic Repeats). CRISPR-Cas9 has since revolutionized genome engineering in a range of organisms- including yeast, zebrafish, fruit flies, nematodes, plants, mice, monkeys and human embryos. A handful of researchers in South Africa has since started incorporating this, and other genome-engineering technologies, in their research endeavors. Considering the potential impact of this technology and its ability to address African research questions, it was appropriate to incorporate as the central theme in one of the series of ACGT regional scientific fora. The ACGT teamed up with the University of Pretoria to host a “Genome Editing” forum that cut across multiple biotechnology sectors. Mr Ezio Fok (CSIR)- Interrogating the dark matter of the genome using gene editing tools. The presentations were all of an exceptionally high standard and feedback received from delegates was very positive. Sufficient time was was set aside for networking between sessions and following conclusions of the event over lunch. The event attracted a total of 61 delegates, including principal investigators and post-graduate students, with some as far afield as Cape Town. Notably, there was also representation from two entities in industry. From the deliberations, it was clear that researchers in different biotechnology sectors could benefit strongly from networking and collaboration with researchers in other sectors, should cross-cutting technologies be the central focus. The ACGT and its partners are currently evaluating how best to build capacity in this developing field in the country. What is certain is that more events on this exciting and rapidly evolving topic will be forthcoming. The ACGT wishes to express its sincere gratitude to especially Mr Thabo Khoza and Itseng Malao (both ACGT) as well as Dr Bridget Crampton for co-organizing the event; and the University of Pretoria for acting as hosts. 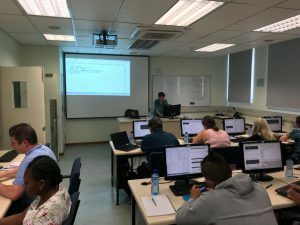 A whole transcriptome sequencing (or RNA sequencing/RNA Seq) data analysis workshop was hosted for ACGT researchers from 15-19 May. 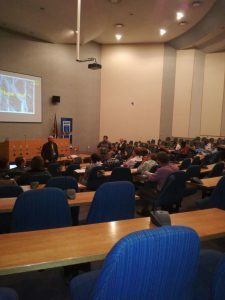 The workshop was hosted by ACGT and facilitated by expert trainers from the University of Pretoria’s Centre for Bioinformatics and Computational Biology (CBCB, Prof Fourie Joubert) and the Agricultural Research Council’s Biotechnology Platform (Dr Charles Hefer and Dr Oliver Bezuidt). RNA Seq aims to unravel the sum of all transcripts in an organism at any given moment in time and is a key intermediate step in the central dogma. The coverage of the technology is also still superior to technologies aiming to measure the full complement of proteins and metabolites in a living system, but at the same time further removed from the phenotype of an organism. Hence, transcriptome analysis can give important clues to changes occurring in an organism following a variety of environmental cues or life stage transitions. The technology can be applied across multiple fields of study, and interest for the course was received from researchers and institutions with very different backgrounds and research aims. 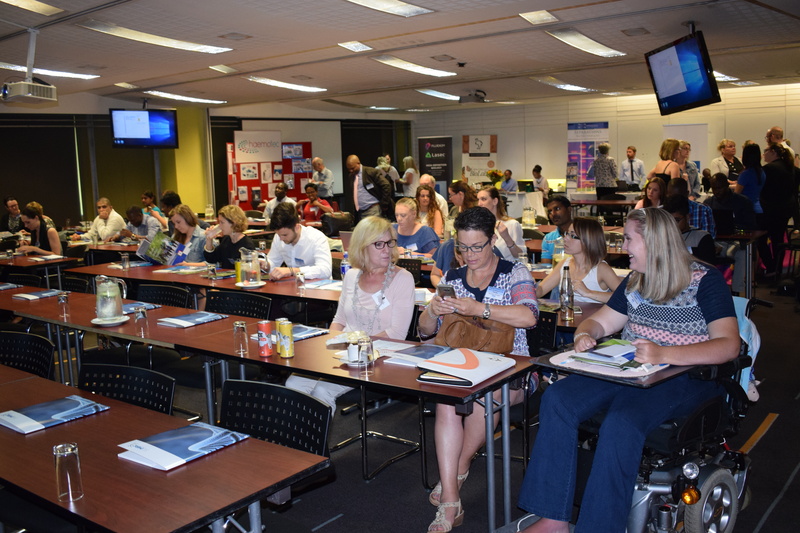 A total of 23 delegates could be accommodated for the week-long training event, hailing from the ARC (several different institutions), National Health Laboratory Service (NHLS), National Institute for Communicable Diseases (NICD), University of Pretoria (several medical, veterinary and agricultural delegates), as well as the University of the Witwatersrand. The workshop included a mix of lectures and hands-on practical sessions in the CBCB training laboratory. Delegates were given a holistic view of all the aspects contributing to a successful transcriptome analysis, including coding in Linux, computing clusters as well as an introduction to next-generation sequencing (including experimental design, quality control and sequence alignment). A whole day was dedicated to analysing differential expression, and the last day was set aside for specific one-on-one sessions with delegates to address their specific queries or to clarify any issues that may have arisen. Even though delegates were at very different levels in their experience with application of RNA Seq analysis, the feedback received following conclusion of the course was very positive. A possibility for future training events may be to split delegates into a beginners and advanced course, since interest in this specific course has always been high. The ACGT would like to again thank the course facilitators for the immense effort and time invested in training partnership researchers. 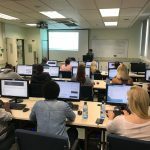 The ACGT, UP and CSIR recently hosted an Introduction to Proteomics Workshop which ran from the 11th to the 12th of May 2017 at the University of Pretoria Medical School. The workshop was in response to the “Workshops and Training Needs” survey that was sent out to the ACGT in which an introductory proteomics workshop was highlighted as a need. The workshop was attended by researchers new to the field of proteomics. 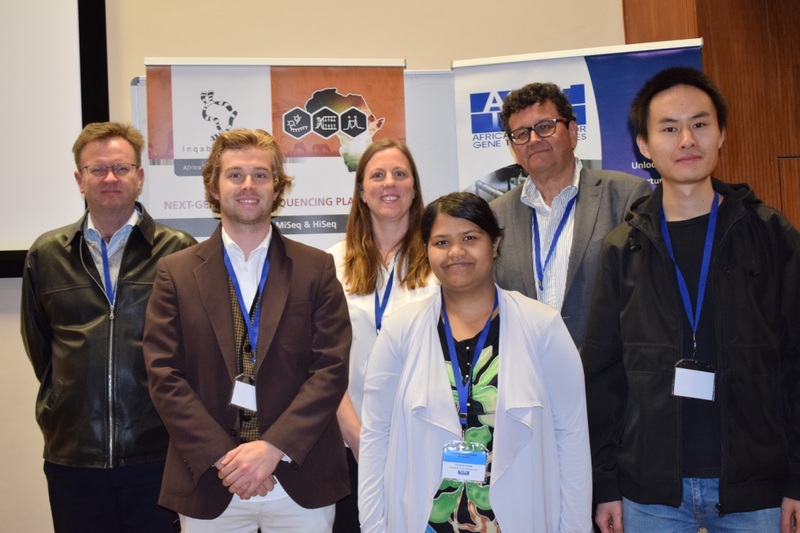 Delegates hailed from the University of Pretoria (UP), the Agricultural Research Council, the University of the Witwatersrand as well as Vaal University of Technology and Cape Town University. Dr Stoyan Stoychev (Council for Scientific and Industrial Research, CSIR) and Prof Duncan Cromarty (UP Immunology) lead the team of researchers who facilitated the workshop. The first day of the workshop was facilitated by Ms Chanelle Pillay (UP), Dr Previn Naiker (CSIR), Prof Cromarty and Dr Stoychev. The second day was facilitated by Ms Kim Sheva (UP), Ireshyn Govender (CSIR) and Dr Stoychev. Topics covered included: mass spectrometry basics, proteomics experimental design and sample preparation, mass spectrometry-based workflows, MALDI-IMS, as well as data processing and interpretation. The delegates also got a chance to discuss their individual projects with the facilitators as well as complete a group assignment in which they were given different proteomics scenarios to work through. 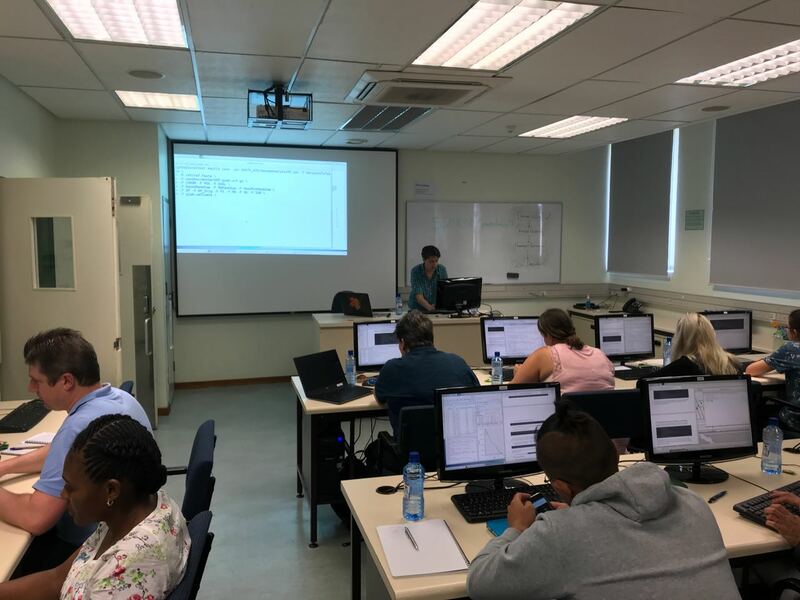 All the workshop facilitators have been through extensive Proteomics training provided by Prof Katherine Lilley and Prof Lennart Martens over the past four years and Dr Stoychev and Prof Cromarty are leading proteomics researchers in South Africa. The ACGT will be hosting a more advanced proteomics course later in the year (11-13 October 2017) which will focus on post translation modification phosphorylation and protein structural characterisation using HDX-MS. The facilitating team will be led by Prof Ole Jensen from Denmark. More information regarding this workshop will be circulated on the ACGT mailing lists. I would highly recommend this course to other young researchers because there were factors in a scientist’s research that were discussed starting from the sampling to data analysis. Although it was mainly based on proteins, the workshop was also open to other ideas. The facilitators were experts. Therefore, they were able to touch on every aspect and provide answers to difficulties encountered by researchers. Lastly, the workshop offered us an opportunity to engage with other colleagues that we didn’t imagine that we will meet with along the way. It was a great opportunity to establish collaboration and make contact with each other. It (the workshop) provided a well-elaborated introduction to proteomics, theoretically and practically, and has allowed for a more focused approach to my research and the consideration of even better options for data analysis and presentation. The presenters and organisers were very welcoming, patient, informative and open to any questions and clarifications. It created a great atmosphere for learning. 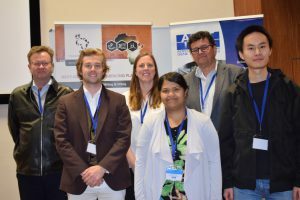 A highly successful Metabolomics workshop was hosted by the ACGT and the University of Johannesburg from 6 to 10 March 2017 at the University of Pretoria’s Centre for Bioinformatics and Computational Biology (CBCB). This event built on the first open-source metabolomics workshop, also facilitated by ACGT and UJ in 2016, and is based on the European EMBL course. A number of European metabolomics experts returned to facilitate the event, and a number of new experts also joined the facilitation team. These included (Europe): Dr Reza Salek (University of Cambridge), Drs Karl Burgess, Naomi Rankin and Justin van der Hooft (University of Glasgow), Dr Jos Hageman (Wageningen University) and Dr Fabien Jourdan (INRA, France). Local trainers included Drs Fidele Tugizimana and Edwin Madala from the University of Johannesburg. The theme of the workshop was Study Design, Informatics and Statistics and included numerous lectures as well as hands-on data analysis and statistics sessions. An internet-based participatory quiz at the end of each session allowed participants to test their knowledge in a very informal manner, and was received very well by the delegates. The response to the workshop registration was overwhelming and not all delegates could be accommodated due to space constraints. 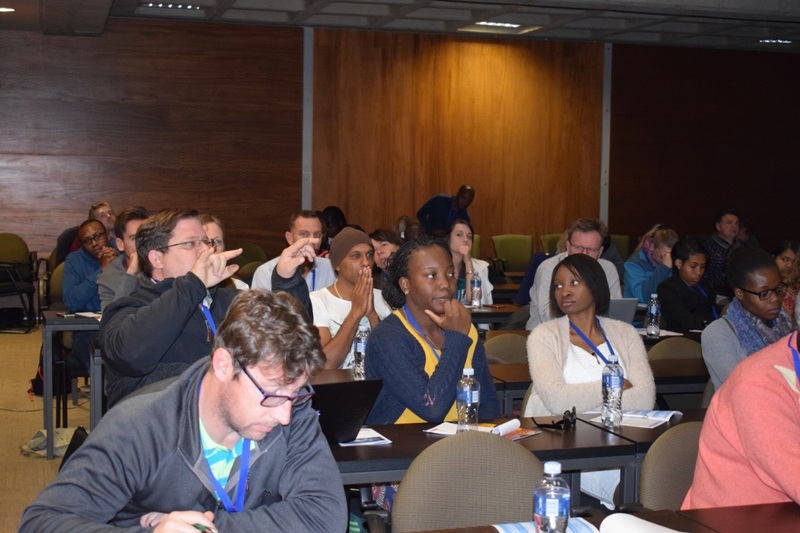 Those who did take part in the workshop were representative of four of the five ACGT partner institutions and included principal investigators (UP, Wits, UJ) as well as post-graduate researchers (UP, CSIR and UJ). It provides a week-long introduction to all the core concepts in Metabolomics. Both inexperienced and experienced practitioners of Metabolomics can benefit from attending the course. The workshop facilitators were very professional; they also provided a lot of expert knowledge and guidance on metabolic analysis. They provided iterative educational activities and the workshop was wholly enjoyably. ACGT deserves a medal for presenting course relevant to staff and students to increase the odds for success. 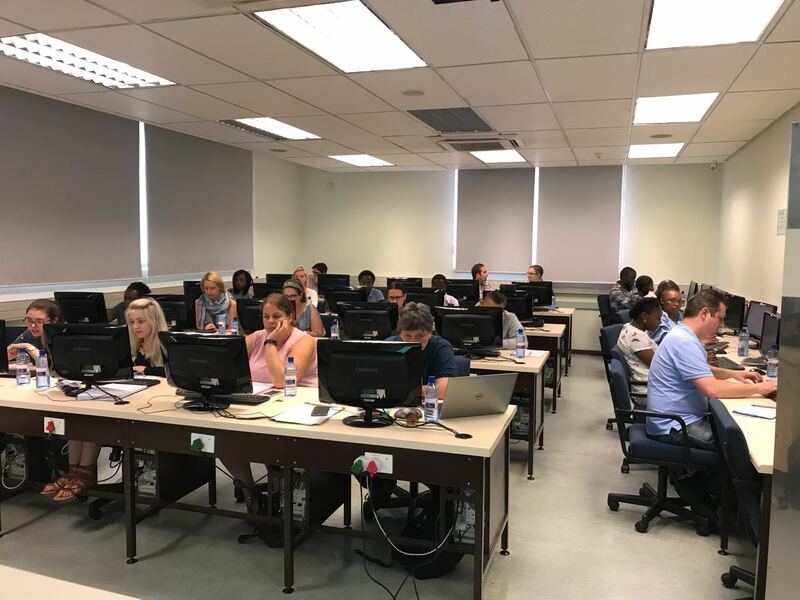 Metabolomics is a growing field in the partnership and country and following the Pretoria event, the facilitators hosted a shortened version of the workshop in Cape Town, at the University of Cape Town; where they were hosted by Professor Jonathan Blackburn. Feedback from this event is being utilized to plan a training workshop in the field for 2018. It will in all likelihood be facilitated during the first quarter of 2018. Further news of the event will be circulated in due course. The Centre would like to thank ThermoFisher and the French Embassy for financial assistance to enable the travel of Drs Karl Burgess, Naomi Rankin and Fabien Jourdan. The Centre would also like to thank especially Dr Farhahna Allie and Ms Itseng Malao for organizing the workshop; and the facilitators for their time and effort invested in training South African researchers. The Centre secured a metagenomics expert for a national metagenomics symposium, which was hosted on the 23rd of November 2016. 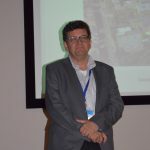 Professor Peter Golyshin (Bangor University, Wales) is a well-known international metagenomics expert and agreed to be the keynote at the national event held at the Department of Science and Technology (DST). 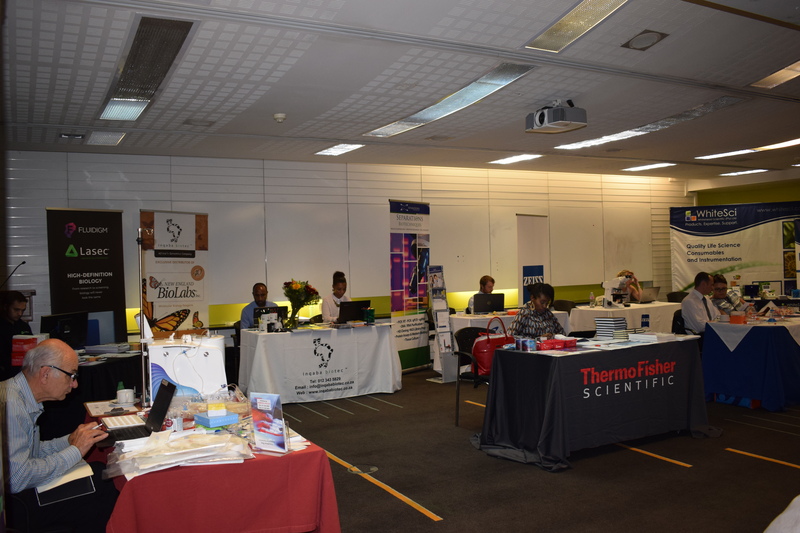 A number of national institutions and prominent local researchers were also represented (69 in total), including the Universities of Pretoria, North-West, Cape Town, the Western Cape, VUT, TUT, UNISA, the ARC as well as the CSIR. 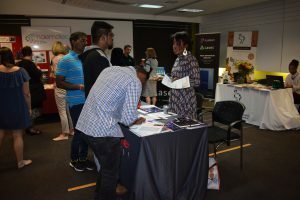 Research from the CSIR, UP, NWU, UWC as well as UCT was showcased at the event. The symposium ended with a discussion about collaborative opportunities in the field, and it was agreed that the ACGT would make available the research interests, expertise and relevant infrastructure of those in the field of metagenomics on its website. A detailed three-day open-source proteomics workshop focusing on targeted proteomics and the use of the software package Skyline (this software package can be utilised regardless of hardware utilised in the different institutions and has become highly popular in the proteomics community) was hosted from the 6th to the 8th of December 2016 at the University of the Witwatersrand. The workshop was conducted by Mr Brendan MacLean (who is the chief developer of the software) and Mr Brian Searle (both from the MacCoss lab, Washington University) as well as Dr Birgit Schilling (Gibson lab, Buck Institute). Both institutes are located in the United States. Various advanced topics were covered during the three-day workshop, and delegates from multiple institutions attended. 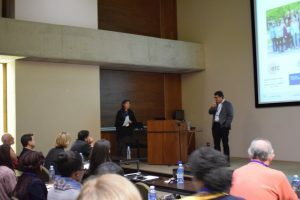 Invitations were also extended to proteomics researchers outside of the region, and researchers hailing from the Universities of Cape Town and Limpopo were also in attendance at the workshop.